Most birders eventually realize that our tribe has its own special lexicon. When we “twitch”, we don’t make sudden rapid movements. Instead, we make short or long distance travel with a specific avian target in mind. Miss that Red-footed Falcon, Pink-footed Goose, or Brown-chested Martin and we won’t let a dance partner catch us as we sort of do a pseudo fall, but we will have “dipped”. Mention that you were “pishing” to a non-birder and they might give you a dirty look. Say that you were “gripped” and they might be tempted to call the cops. Much to our delight and the collective relief of non-birding partners, we also change the meaning of more commonly used aspects of vocabulary, one prime example being the word “good”. For example, many of us talk about seeing “good” birds and frequently ask others birders if they have seen anything “good”. This doesn’t mean that common birds are “bad” or unwanted, or that we want to discriminate against certain species (although that is tempting when cowbirds are in the house), it’s just a synonym for “rare” or “unusual”. When we say that we saw a good bird, we could say that it’s just a means of saying that we are especially pleased with that sighting. Personally, to avoid the confusion over all birds being good and some being “good”, I prefer saying “damn good bird”. A “DGB” is more or less synonymous with a “MEGA” and in Costa Rica would take the form of species like the Rufous-vented Ground-Cuckoo (something I like to refer to as an “RVG Cuckoo” because that reminds me of a rock band or some secret weapon), Harpy Eagle (seen recently in country after a long hiatus! ), or even Hudsonian Godwit. Although I wish I could say that I have seen a DGB lately, I must admit that has not been the case. 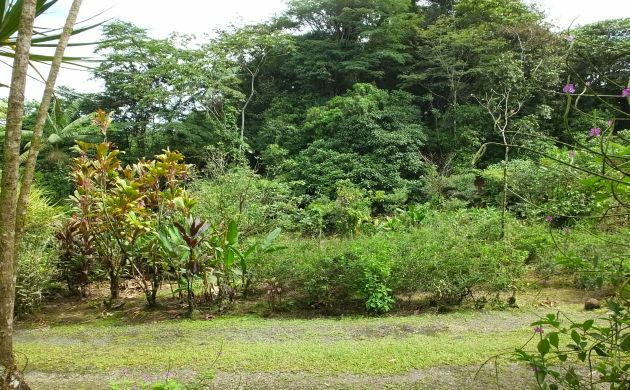 However, no problem there because any pangs of loss or longing to lay eyes on a MEGA bird is quickly assuaged by glassing good birds, and that’s pretty easy to accomplish in Costa Rica, especially at El Tapir. Tapirs do occur on the trails at El Tapir but cool hummingbirds are more likely. This abandoned butterfly garden/ecotourism venture is one of the very few easily accessible, reliable sites for Snowcap, a stunner that can’t fall out of the good bird category no matter how many times you see one. 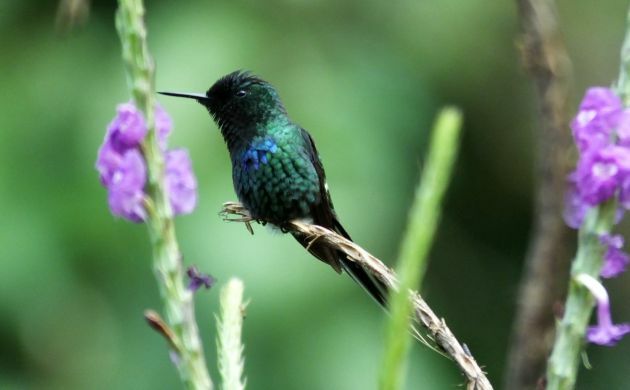 This dreamy hummingbird is a perpetual good bird because it never fails to fulfill the main tenets that place it, the Pompadour Cotinga, and the other esteemed members of the good bird society into that category. Although the attributes that make a good bird are subjective, in general, they include such factors as rarity, appearance, and pizzazz. 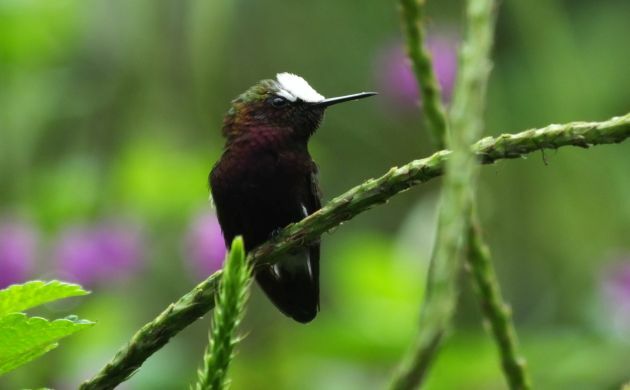 Since the male Snowcap only occurs in foothill rainforests from Honduras to western Panama, is pretty uncommon (or at least often hard to see), and has deep wine reddish plumage with a glowing white crown, it can’t help but be a perpetual good bird. Snowcap = Glass of Burgundy X Nonpareil candy. A few of this species were at El Tapir the other day and we were very pleased to watch them zip around the Porterweed bushes. Upping the good bird factor, they shared the floral scene with some other gems, the best one being an out of range White-crested Coquette. Another perpetually good bird, this regional endemic is normally found on the other side of the mountains and is often tougher to see than the Snowcap. 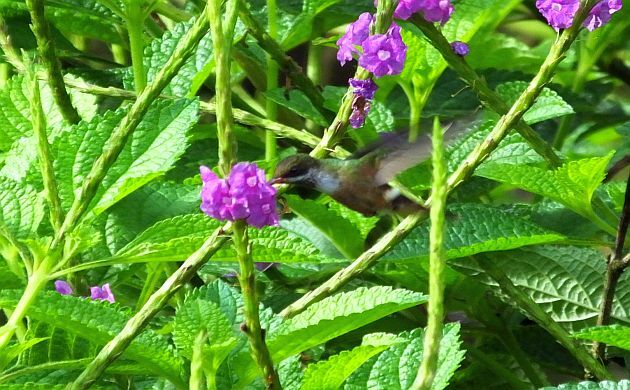 Like many hummingbirds, though, they move around in search of nectar and can thus apparently take foodie vacations outside the boundaries of their range map. Our bird was a juvenile that fed right in front of us until of course it dawned upon me that I should be taking pictures because it wasn’t the much more expected Black-crested Coquette. The results of waiting too long to take pictures of an out of range White-crested Coquette. Speaking of the other coquette, we saw that one too although only through the scope at a distance that made it look even more like a feathered beetle with a crest. A male Black-crested from another day at El Tapir on a much closer perch. As you might surmise, this one is also in the good bird club. While scanning the flowers for more birds that acted like insects, we were also entertained by Blue-throated Goldentail, Crowned Woodnymph is all its purple and green splendor, and couple of Green Thorntails. 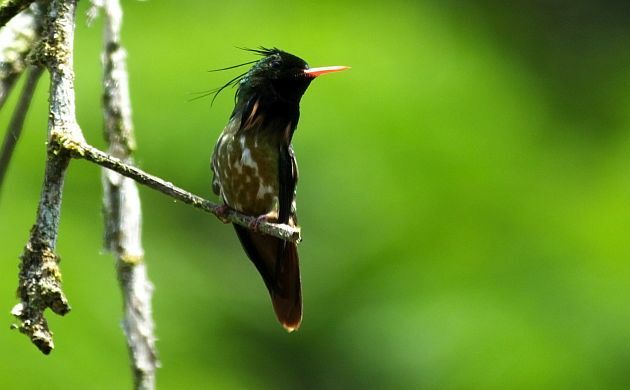 The Green Thorntail is fairly common and always awesome because you wonder how it can actually be a bird. But the hummingbird madness didn’t stop there. 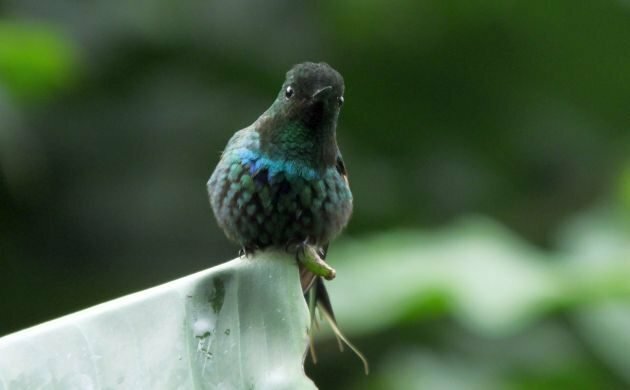 To top off the list of unusual species, we also saw two species rarely seen outside of cloud forest; Coppery-headed Emerald, and Magenta-throated Woodstar. Good birds no matter where they are seen, these two were especially good the other day because they were totally unexpected. Given the plethora of uncommon hummingbirds at El Tapir the other day, I can’t help but wonder what may have shown up since then. Hopefully, I can check the site out this weekend to see if some other out of range hummingbirds make an appearance. If not, I can always venture into the primary rainforest and have an outside chance at a the MEGA, DGB, RVG Cuckoo. My husband and I are headed to Costa Rica in December, and we would love to visit El Tapir. I am not finding any information about it on the web. We will be renting a car and can drive there. Can you tell us where it is located? Do we need to have a reservation to visit there? Any help/advice you can give us would be very much appreciated. Thank you!